Adrian Ryan, manager of TP Tyres, has been an active member of the club for over 17 years and is still actively involved with two teams in the club, including our U10s where his son Jodi, pictured, currently plays. 20% is a brilliant deal for our members and we thank Adrian, Darren and all at TP Tyres for their generous sponsorship of the club. 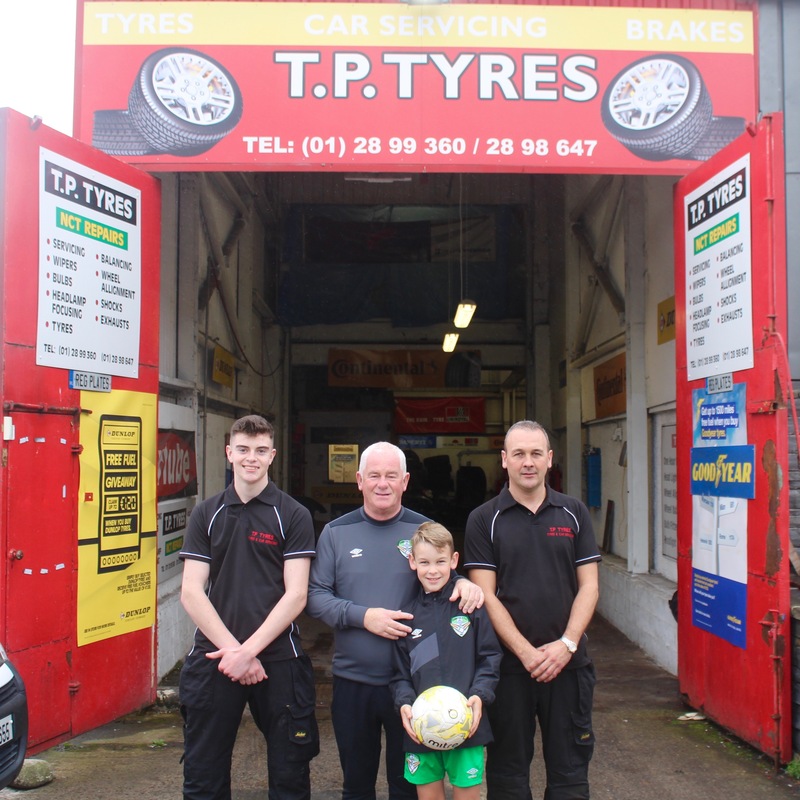 If you wish to avail of the discount for Cabinteely FC members, you can call into TP Tyres between 8AM-5PM Monday to Friday and 8AM-4PM Saturdays or alternatively contact Darren Craddock or Adrian Ryan on 01-2899360 or 0867901690. As well as offering a generous 20% discount off everything, TP Tyres will also collect and deliver your car for it’s service so it will be completely hassle free.